Pathfinder Networks, LLC - Business IT Services for Niles, South Bend, Granger, Elkhart, and all of Michiana! and innovation from Pathfinder Networks. Pathfinder Networks provides all aspects of installation, configuration, administration, and support of your Windows based network. Our technicians are A+ Certified, Microsoft Certified Professionals, and are Microsoft Small Business Specialists! Laptop Repairs - We repair broken power jacks and screens! Full Network Management Services including Remote Support and Monitoring. Windows Server configuration, administration, and support. Windows Workstation (PC) installation, configuration, administration, and support. Microsoft Security Patch installation and management services. Network user management and administration (such as Active Directory). Email Server configuration and administration. Data backup and disaster recovery (both onsite and 'cloud based'). Installation and maintenance of network hardware such as switches, routers, and battery backups, etc. Server, PC, laptop, software, and network hardware sales. With over two decades of computer and computer networking experience, Pathfinder Networks is well equipped to meet the computer needs of businesses ranging in size from large corporations to small and medium businesses. We specialize in Microsoft technologies and are hardware and networking experts. Our primary market focus is on the small business network (we are a Microsoft Small Business Specialist company). 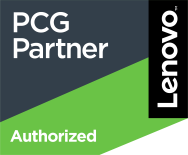 This includes Microsoft Windows Server, Windows workstation support, configuration, and administration, as well as Local Area Network installations and administration. We also provide services such as Microsoft Security Patch installations, virus removal, data backup solutions (both onsite and cloud based), hardware support, upgrades, PC and laptop sales, etc. Our "best fit" are those companies that use PC's and networks for their everyday business functions but are not large enough to employ a full-time in-house I.T. Administrator. We will be your I.T. Administrator when you need us! At this time we do not support or service home or residential customers. 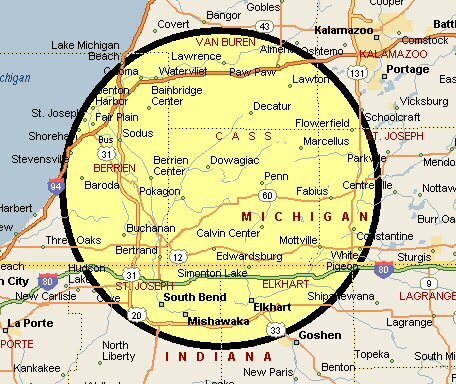 Our service area covers the Southwestern lower Michigan area as well as the South Bend/Mishawaka/Elkhart area. Our corporate headquarters are located in Cassopolis, MI affording us a central location to serve all surrounding communities. Originally founded in 1998, Pathfinder Networks, LLC is a Limited Liability Company licensed in the State of Michigan. We were originally known as D Net-Tech LLC with corporate offices in Cassopolis, MI. Shortly thereafter we chose to concentrate our market focus and service offerings. In early 2004, as part of this change in focus, we chose to rename our company to Pathfinder Networks, LLC. In September 2004 Pathfinder Networks opened its first retail location in Niles, MI. On October 1, 2007 we moved to a new and larger retail location just north of our previous Niles, MI location. On September 10, 2010 we again moved our retail location further south on 11th St (across the street from Lowe's Home Improvement) and doubled the size of our office. At the end of 2013 one of our founding partners retired from the business and the Niles, MI retail store was closed. The focus of the business was again tightened to concentrate exclusively on our small and medium business clients and to provide the products and services necessary to make these businesses as successful as possible. Our corporate headquarters was moved back to Cassopolis, MI. 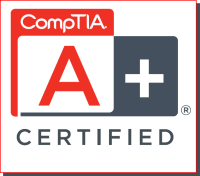 Along the way we have invested in our technicians and have acquired industry accepted certifications such as A+, Microsoft Certified Professional, and Microsoft Small Business Specialist as well as aligning with key industry partners and vendors. Throughout all these changes our corporate motto has always remained the same: "To be a trusted and valued business partner with an emphasis on providing the services and technologies our clients need to be successful"
Pathfinder Networks serves the Southwestern Michigan/Michiana Area. You can contact us using this form or via traditional means using the information below. At this time we do not provide service to home users.